Do front and rear windows have to come out for a headliner?? › Do front and rear windows have to come out for a headliner?? 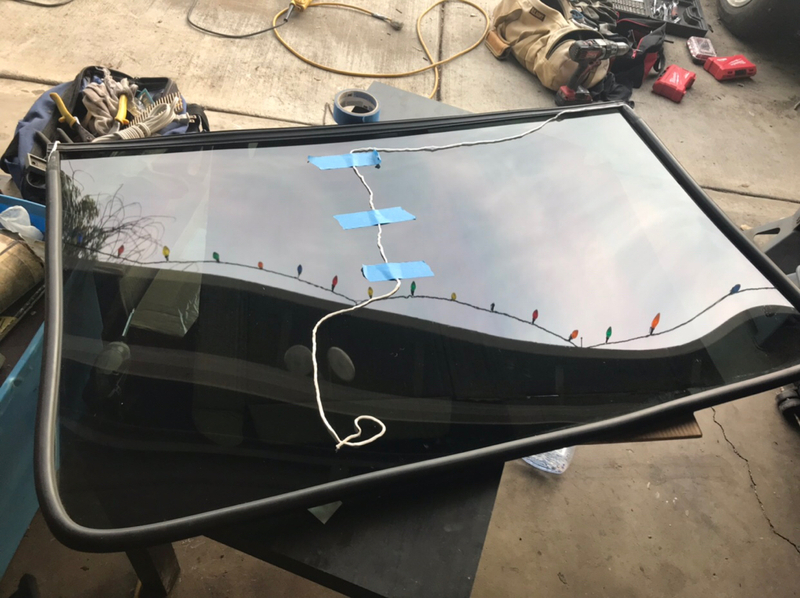 Does the windshield and back glass have to come out in order to do the headliner? I'm trying to get the interior finished before painting the car and hate to pull the glass out just to do a headliner. Front could stay in, but it's definitley easier with it out. Rear must come out as the sail panels and headliner wrap around the pinchweld at the rear window opening. I would for sure do paint first then interior. 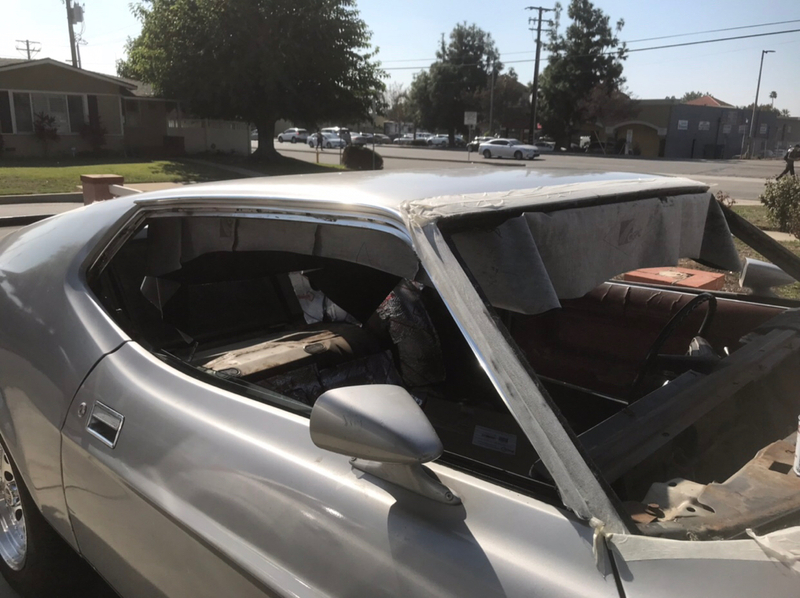 When you pull the windshield and rear window out you are going to have rust that needs to be repaired. Water standing in the corners and trapped by the trim. With interior in it takes way longer and you will regret. It is way easier to paint a car with all the windows, fenders off. Do not have to mask as much. You need to look at cowl also to see if you have holes which you probably will have. Right and left ends if rust stains inside and rusty front floors then the cowl is leaking. 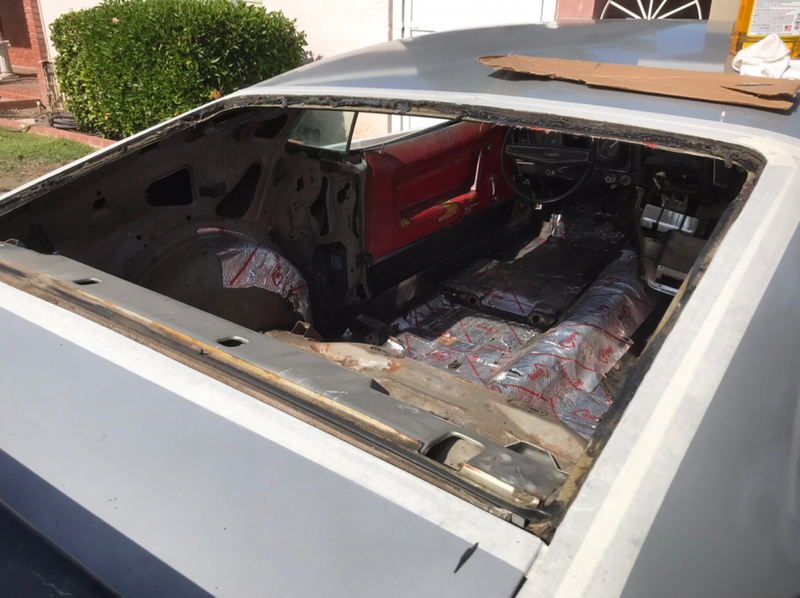 Also the roof rails will need attention, also rust and you will have to remove interior trim to do that. You will need new rubber seal for the rear window. 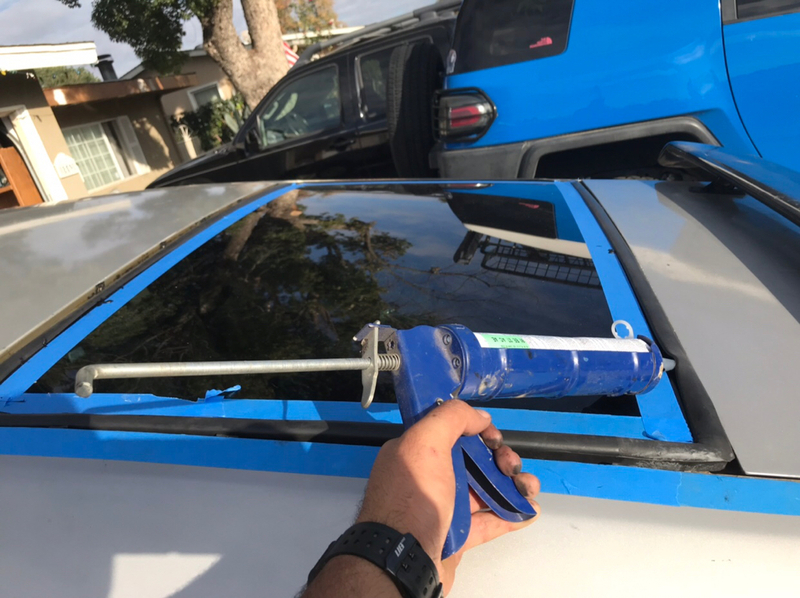 New roof rail rubber, 3-M strip windshield seal for front. To get the front out you need a windshield cutter you can get at Harbor freight. Keep it wet with WD-40 will go through the goo better. Have to be careful or you will crack the glass. In back you can just cut the old rubber seal and get out easier. Be careful with the trim front and rear repo is not good. Need special tool to release the clips and pry up the trim with plastic trim tool. I'm really wanting to get this to the running driving point so I can enjoy it while I'm working on it That's been one of the main reasons I have been trying to sale it. I think with a solid week of work I can get it road worthy. 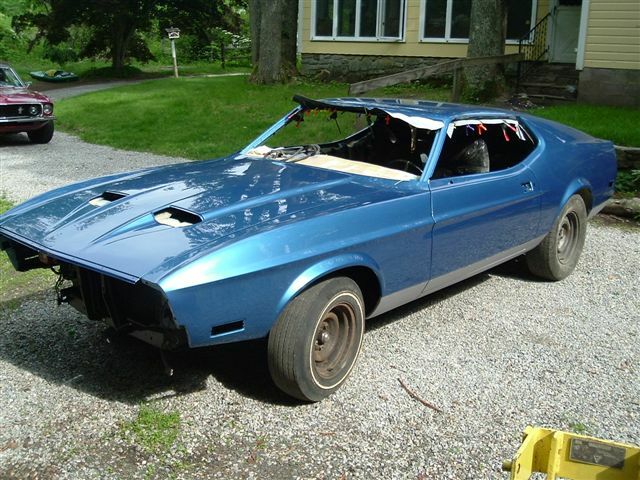 Since I am buying used seats that do need to be recovered I will hold off on that till I do the paint and body. I guess if I pull the glass I will have to trailer it to whoever will do the interior. I guess I could chance it and drive it without the windows in it. Really no different than riding a motorcycle or dune buggy!!! (04-04-2019, 10:59 AM)scgamecock Wrote: I'm really wanting to get this to the running driving point so I can enjoy it while I'm working on it That's been one of the main reasons I have been trying to sale it. I think with a solid week of work I can get it road worthy. Since I am buying used seats that do need to be recovered I will hold off on that till I do the paint and body. 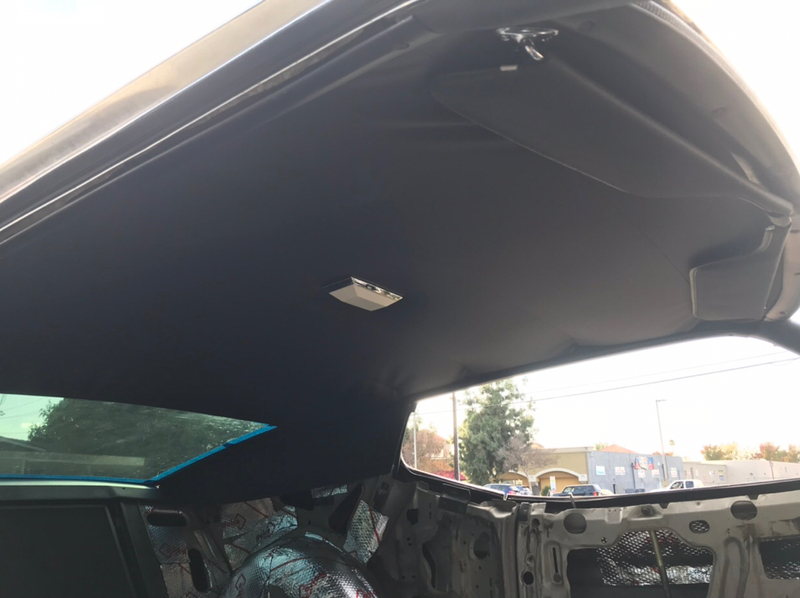 (04-03-2019, 12:22 PM)scgamecock Wrote: Does the windshield and back glass have to come out in order to do the headliner? I'm trying to get the interior finished before painting the car and hate to pull the glass out just to do a headliner. 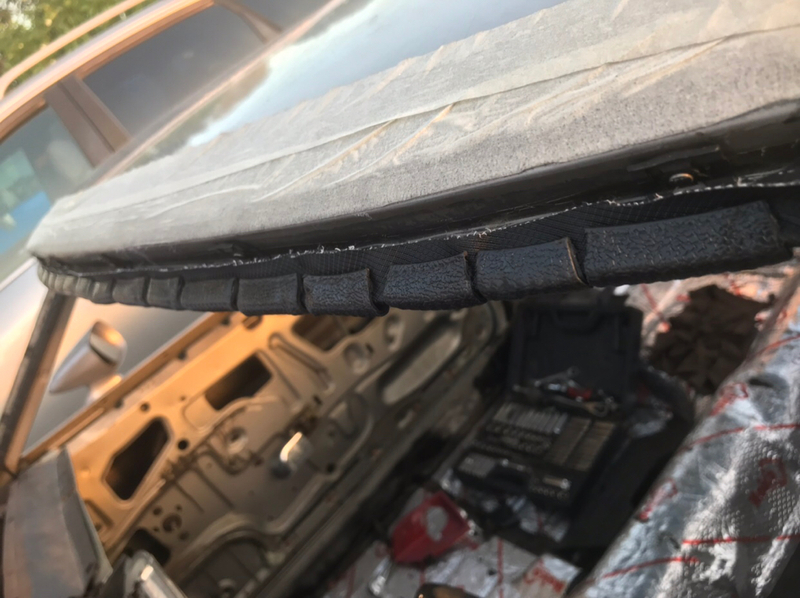 Dude, I was cursed with “ I want to do my headliner for $50”. 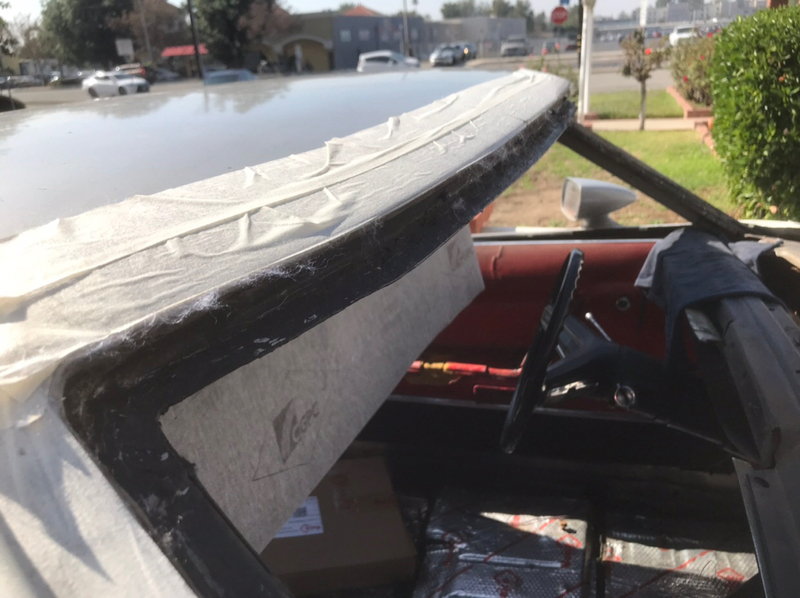 I ended up buying the new seal for the rear windshield, seals for the rain gutters, windlace to hold the headliner, headliner/upholstery glue, window-weld/butyl with a caulking gun , tinting the window, and new trim clips , plus the headliner and sail fins! Finally after all that was ordered I got my headliner in after a week of afternoons. I hear other people saying they tried “tucking the vinyl into the seals but it sounded iffy and I tried tucking with a puddy knife and it wrinkled and started tearing my fabric - the amount of tension I had to pull on the vinyl to flatten all columns and rows of fabric was phenomenal , any bit of slack not held in by the chopped up wind lace would show where tension was needed to wrap around those pinchwelds! I’d second that paint be done first but the heart wants what it wants!